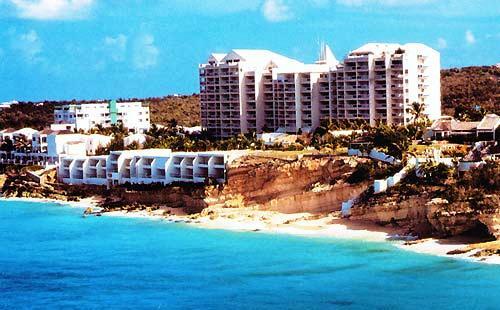 The Wyndham Sapphire Beach Club and Resort will have limited swimming pool service and no restaurant or bar service (the restaurant has closed) until September 30th 2007. The property shall have its full service facilities up and running as from October 1st 2007.Located on the World Famous Cupecoy Beach in Saint Maarten, the Sapphire Beach Club & Resort boasts beautiful ocean and beachfront views from your private terrace or balcony. The secluded beach is a prime spot for swimming, snorkeling, and watersports. Opportunities abound for daysails to nearby islands, scuba, boating, fishing, shopping, casinos and the best dining in the Caribbean. Situated on the Dutch Side, and jsut minutes from the French Side, the Sapphire Beach Club & Resort is surrounded by a lush tropical garden.